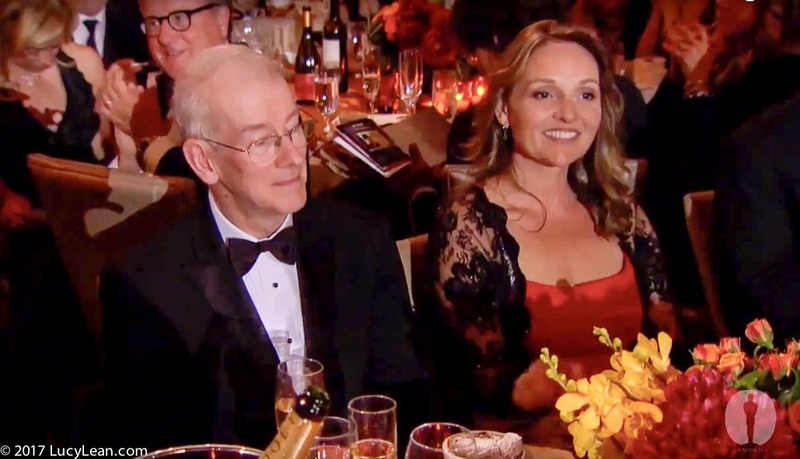 The Governor’s Awards, 2010 when my dear friend Kevin Brownlow won an Oscar for his work in film preservation and history. On Hollywood’s biggest day I look back to that moment six years ago when I appeared on screen at the Academy Awards, for a split second. Yes this really happened and if you blinked you missed it. 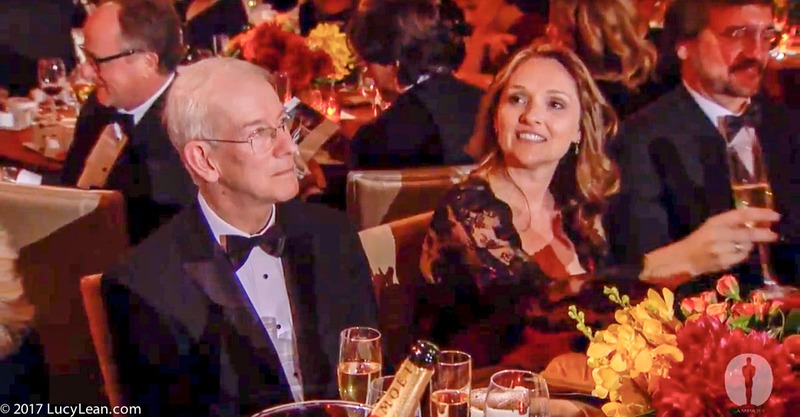 During the live telecast hosted by Anne Hathaway and James Franco there’s the segment when they look back to the Governor’s Awards which had been held a few months earlier and sitting next to Kevin Brownlow there I am – the lady in red! 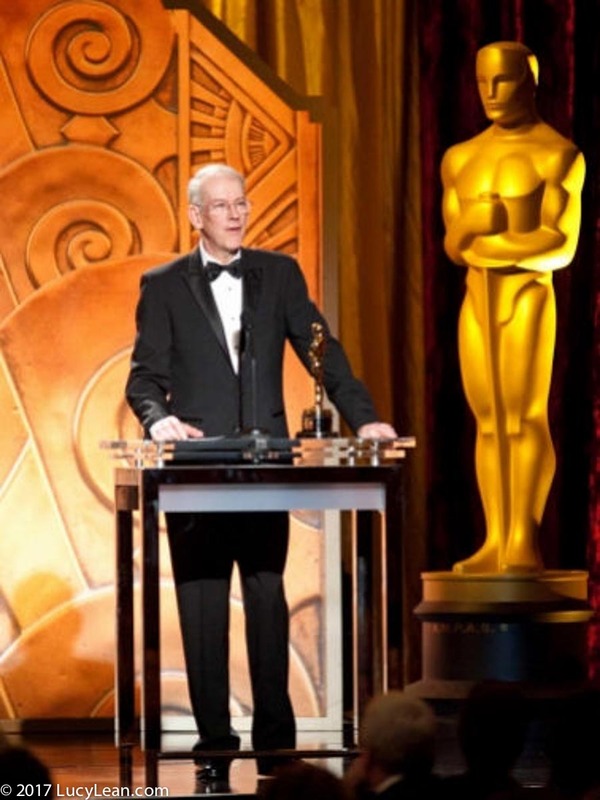 My dear friend Kevin Brownlow won an Academy Award at the 2010 Governor’s Awards and lucky me I got to go. 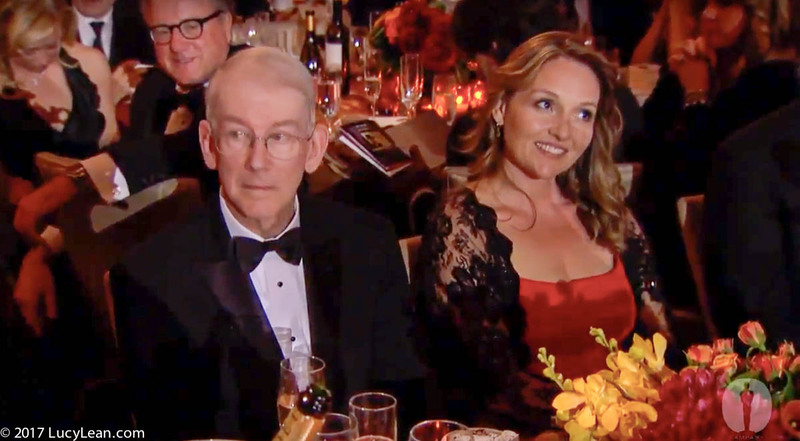 Even luckier for me was when he sat me next to him for the ceremony – his wife Julia sitting across from us. For one night, as we nibbled on Wolfgang Puck salmon and caviar pizza, I played Kevin’s Silent Movie Star. Kevin Brownlow’s work was being honored. Up until this moment he was an unsung hero of movie preservation and history. In addition to his books, like Parades Gone By…, he also produced the definitive TV documentary series with the late David Gill, about the beginnings of the movies Hollywood as well as dedicating 50 years of his life restoring Abel Gance’s masterpiece Napoleon. Long before The Man in the High Castle and SS-GB Kevin was a man way ahead of his time when he wrote, produced and directed It Happened Here – a film about the alternative outcome of world war II with Hitler invading Britain. Stanley Kubrick, who was intrigued by the project, donated film stock from Dr. Strangelove to Brownlow to help him finish the film. I met Kevin over 25 years ago, long before I lived in Hollywood, when he was writing his David Lean biography . We became good friends and I look forward to the fascinating times we spend together – trips down memory lane and he takes me back in time 100 years to the era when Mary Pickford ruled Hollywood. The Academy rewarded Kevin for all that obsessive hard work – a true lifetime achievement award. 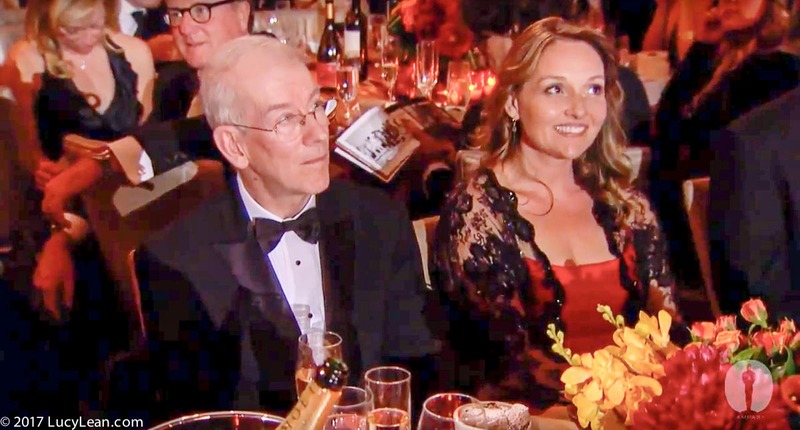 Here’s the video that the clip was cut from – James Karen paying tribute to Kevin and as the camera cuts to Kevin there I am sharing the screen with the man of the moment. On that magical night of movie magic when I was rubbing shoulders with Warren Beatty and Annette Bening whilst waiting for my car at the valet I felt like a movie star – Kevin’s silent movie star. There’s nothing like that kind of glamor and glitz. I love Hollywood and I love the Academy Awards – so tonight I will be raising a glass of bubbles to Kevin to thank him for giving me that once in a lifetime experience and to congratulate him on his Oscar – bravo Kevin! Thank you for all you do to preserve movie history, for interviewing all those stars of the silent era and for taking the time to always educate me on the facts. So many stories, so many wonderful movie moments that without you would have been lost forever.